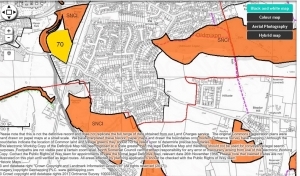 An Outline Planning Application (17/P/1138/O) for 70 dwellings has been submitted to NSC on land at the junction of Bleadon Hill and Bridgwater Road near Devil's Bridge. Comments can be made directly via the link above, the current consultation deadline has now been extended to 25 July 2017, according to the NSC website. 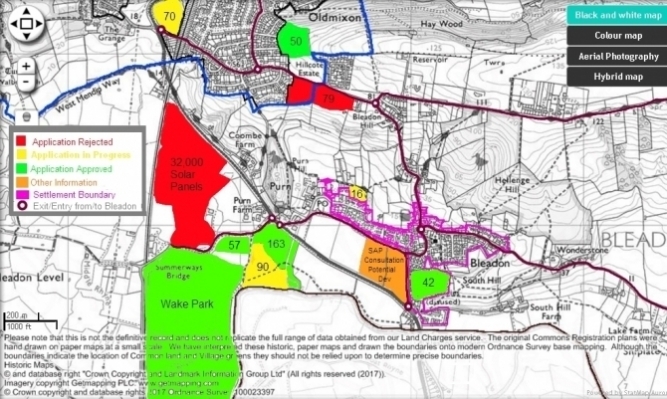 Based on our recent personal experience of two other major housing development applications on Bleadon Hill that after refusal by NSC went to public inquiry appeal (one accepted and one rejected by the inspector), it seems that planning application decisions need not take account of the holistic 'bigger picture'. Services outside of the delivery of NSC responsibilities do not seem to be taken into consideration at the time of the application. So for example, a developer can be asked by NSC to make section 106 or Community Infrastructure Levy contributions to compensate some NSC services affected but there is no official statement on how related health care provision will be met as a consequence. The health care service provision in the area is already at breaking point, particularly evident when trying to get a GP appointment, so more houses equate to more people, and that can only make matters worse. Surely this is wrong, so please ask your local councillors and MP how these issues are addressed (contact details here). This particular development site is not within the Bleadon Parish Council boundary so, from my understanding, BPC will not be formally asked for comment, but yet again the bigger picture of the consequential effect on all services should surely be considered, for example, increased local traffic (on an already dangerous junction) as other routes via Bleadon may be taken. Local community services may also be used such as the halls, playground, wildlife reserves, footpaths. toilets etc., and whilst this might enliven the village it will also presumably come at an increase in residents' precept to cover the associated maintenance, health and safety, insurance, etc. costs. So why should BPC not be formally asked for their comments? 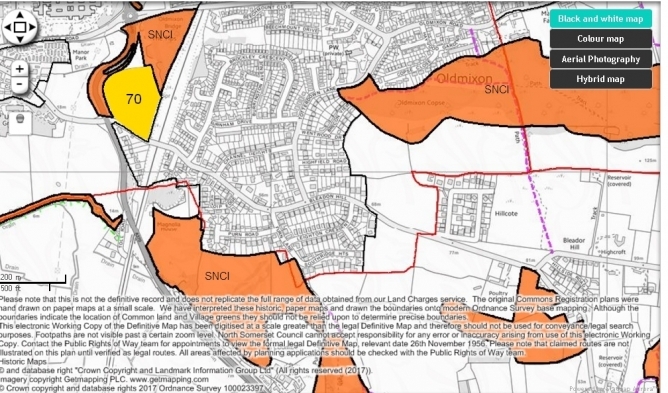 Of course all individuals are able to submit comments personally as they did also collectively via our Parish Plan. So in conclusion, if all aspects of this application are considered in the wider context then it could be of benefit to the community with all outstanding concerns and issues being addressed. Unfortunately, from past recent experience it could just cause more emotional and financial stress for local residents and be detrimental to their current future health and well-being. To read and/or comment on the local discussion and feedback on BOB see comments below and https://www.facebook.com/BleadonBOB/. Also see related Mercury article published 22 Jun 17. Re planning application 17/P/1138/0 Councillor Le Morgan was with NSC people yesterday morning at bottom of Bleadon Hill on Bridgwater Rd. They were doing traffic count with a view to installing a zebra crossing. I asked Le Morgan about the 60 houses plan and he said that there is not much we can do about that. So it seems almost certain that application will be agreed. This, for various reasons, is what I expected. The junction from Bleadon Hill onto the A370 is already highly hazadous. This proposed development would make it suicidal! Despite the developers traffic reports, this development will make access to A370 even more difficult and dangerous. Local residents already know this and use other routes, so an extra 100+ cars will increase the likelihood of more accidents in the area as well as at this junction. Consequently, this development will also create additional pressure on our emergency and health services as the new residents try to find GP, dental and other essential heath services, yet it seems NSC pays no attention to that in their decision making process, why not? 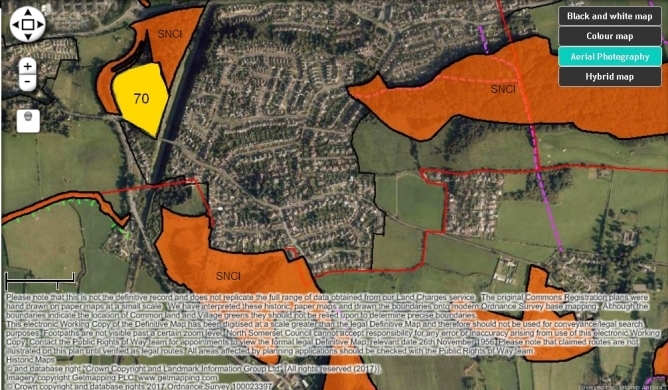 This development added to others in the Bleadon and Bleadon Hill area (Wentwood, Purn Holiday Park, Accommodation Road) will bring several hundred new residents to the immediate area, yet no increase in health services provision that is already broken! The planning process needs to be changed to include these issues in decision making and NSC needs to take a stand against further development until central government changes the system; or is the Government New Homes Bonus and extra Council Tax collected too much for NSC to ignore? E.g. The utilities companies are putting additional services in place ahead of the increase of residents e.g. Bristol Water's £27 million water infrastructure project which "will help us meet the increase in demand for water over the coming years. Weston-Super-Mare is one of Europe’s fastest growing towns, and so we need to supply all of the new residents and businesses coming to the area"; what is NSC and central government doing now and for the future? What risks are posed to our communities health and well-being if they are not put in place in time, e.g. services provided by hospital, doctor, maternity, fire, police, etc.? If infrastructure services were sufficient for existing residents, then improved, then new homes would make more sense! Thank you for your response. I have made comment ( although not showing yet) and will let neighbours know. I was concerned that only 1 comment is showing? On the whole application online (NSC). Already on to it.I have,like many others who attended the developers meeting,no objections to the housing,only the access to the development. Thanks, Chris. We were aware of the impending application but unfortunately the main objection we can see is highways and as NS don't foresee any problem here (!!!???!!!) I'm sure objections on those grounds will be fruitless. Good Lord! Deliver us from the ‘insane’.